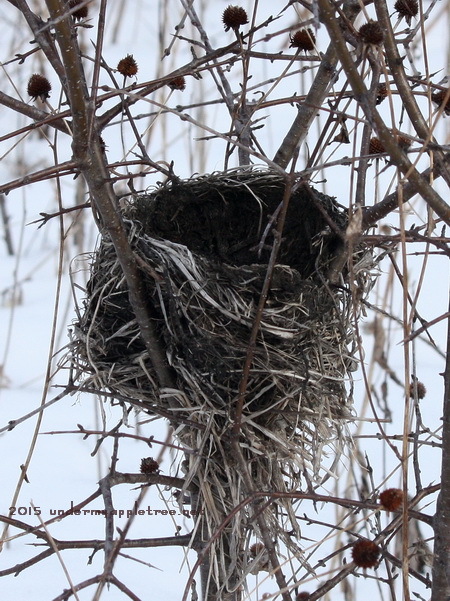 Almost wordless: This was near the pond and was probably a Red-Winged Blackbird’s Nest. Great shot! I believe you’re right; it’s a red-winged blackbird’s nest. It’a in good shape to be used again. As usual, a striking nature photo! It’s been quite some time since I’ve seen a red-wing blackbird. You’re fortunate to have them nearby!